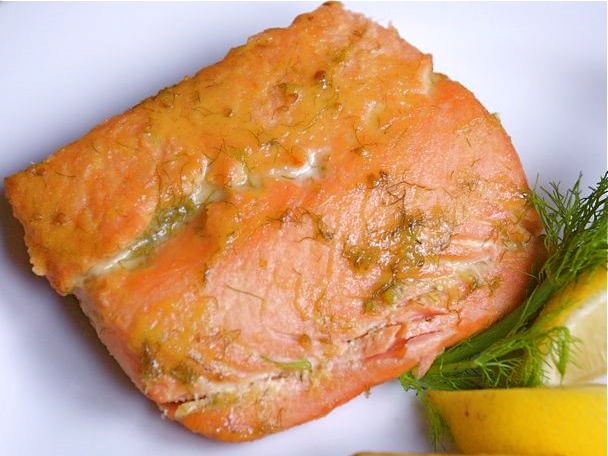 I gleaned this recipe — one of my favorite ways of cooking salmon — while working at Genoa restaurant in Portland. Agrodolce translates as sweet and sour. Several hours before serving, mix together all the ingredients except the salmon and the lemon wedges and whisk together until smooth. Add the salmon, turning the fillets to coat with the marinade. Cover with plastic wrap and refrigerate. Grill the salmon, or broil it on a buttered pan on the middle rack setting, about 5 minutes per side until cooked through. Serve each fillet with a lemon wedge.